When it's time to play, the Nike Sportswear Shorts keep you covered without getting in the way. An elastic waistband and soft jersey fabric give you all-day comfort. 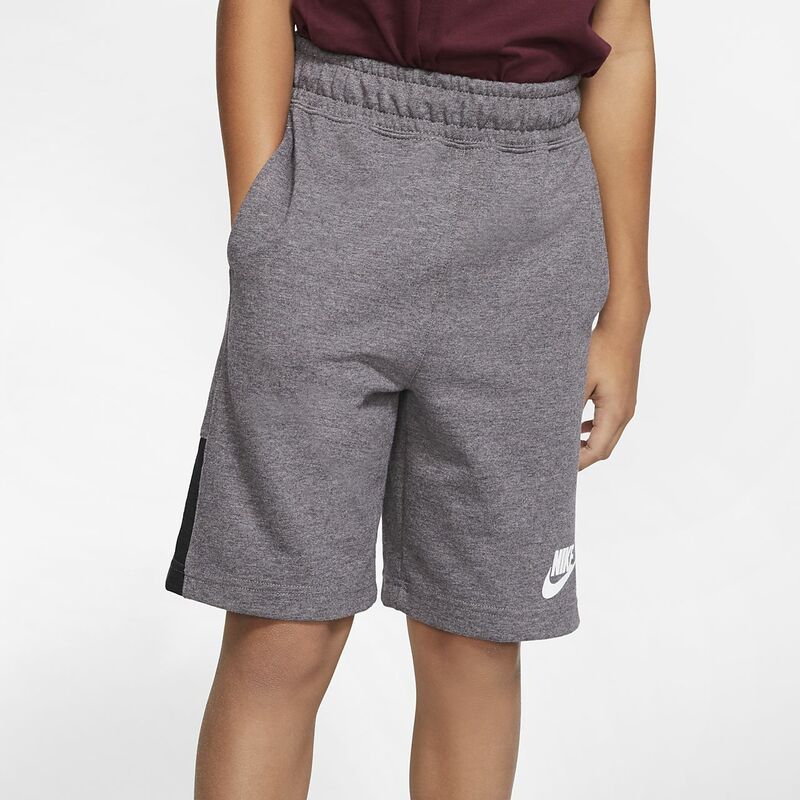 When it&apos;s time to play, the Nike Sportswear Shorts keep you covered without getting in the way. An elastic waistband and soft jersey fabric give you all-day comfort. Fabric: Body: 57% cotton/43% polyester. Panels: 54% cotton/46% polyester. Pocket bags: 100% cotton.